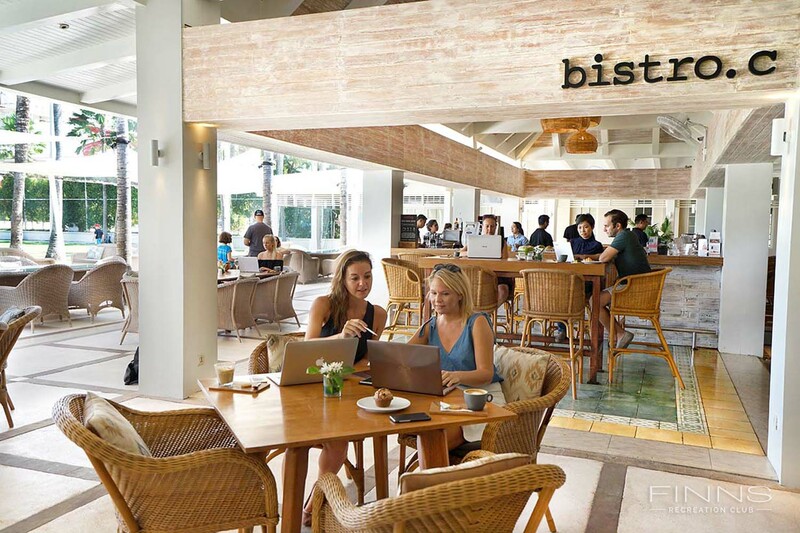 Our spacious Coworking Hub is the perfect place for Bali’s short term or expat co-working and business community. 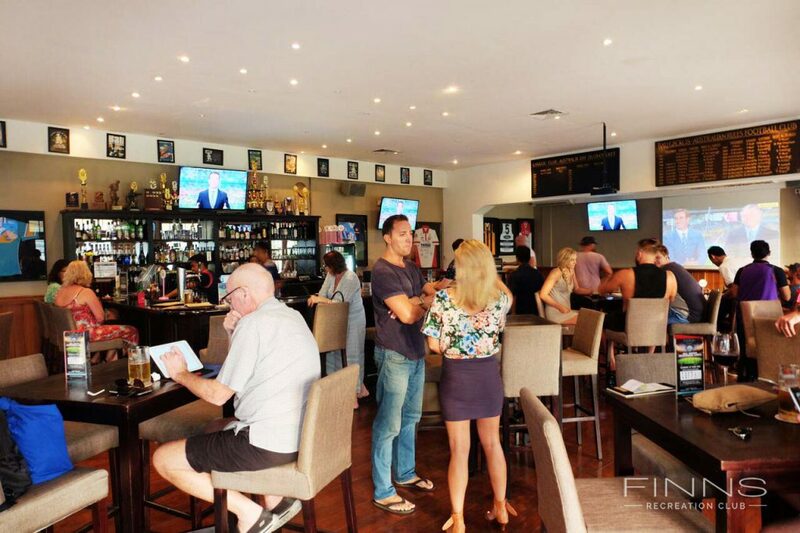 By becoming a Finns Bali member, we welcome you to enjoy the use of our high speed WiFi, Business Centre, Large Cafe, Poolside Lounges, Air-conditioned restaurant and sports bar. Weekly, Monthly, Quarterly and Yearly memberships available. 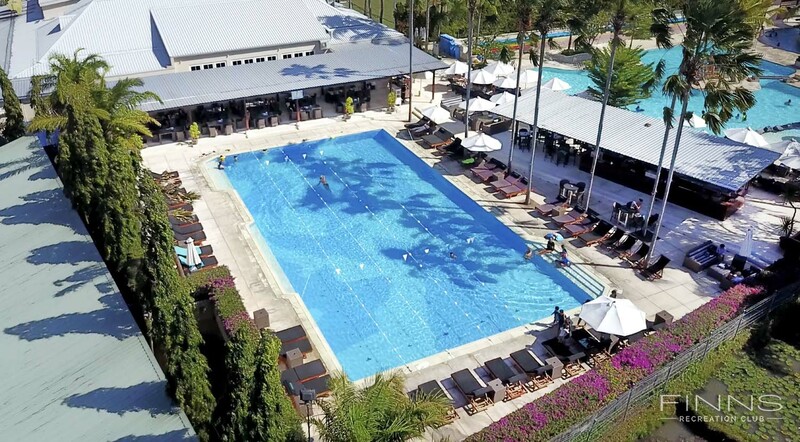 Non-Members can also purchase a Finns Bali Day Pass, which includes entry to the Business Centre, Finns Recreation Club facilities and a daybed at Finns Beach Club. Are you a member of Finns Bali? "Use your trial pass for a full day of fun - office hours, water park, gym, sauna, steam, seaside lounging and dinner. " This is the best coworking day pass you could ever ask for! I spent the day doing focused work for 6 hours, the environment was quiet and coworkers were of all ages and backgrounds (unlike much of Bali - where coworking spaces are filled with cool kids and egos). A friend and I were trialling at the same time, we finished work and hit the water park for an hour... I haven't had good old childish fun like that in a long time. Afterwards, we hit the gym and used the sauna and steam room. Once refreshed, we went to the Beach Club for some seaside lounging and a meal. A great memorable day in Bali! I had so much fun that I went home and did some budgeting to afford myself a membership. It's a bit pricey, but because it includes everything from gym + office + rec activities (soccer, netball, etc) + beach side entertainment/relaxing, it's good value. "Everything you could ever need in a remote workplace." I can't recommend Finns Bali highly enough. There are not many places you can start your day with a spot of yoga or a workout, have and amazing breakfast/lunch with top notch coffee, work in a quiet, comfortable environment with fast & reliable wifi, take a break to refresh yourself in the afternoon by taking a few laps in the pool facilities, work through until the evening and then chill out after work with some more delicious food at the grill house or restaurant, catch a game over a cold beer in the sports club or enjoy a game of social football with some mates. This place has everything you need to maintain a super productive, healthy and social life. "All you need in a working space plus more!" Not only do Finns offer a fantastic co working space with the option of an air conditioned business centre or outdoor restaurant but the membership includes a heap of recreational benefits. Members can use the fitness centre, big gym, classes, lap pool and also the waterslides. You also get a day bed at their beach club with no minimum spend! I love working from both venues, enjoying the various spaces. 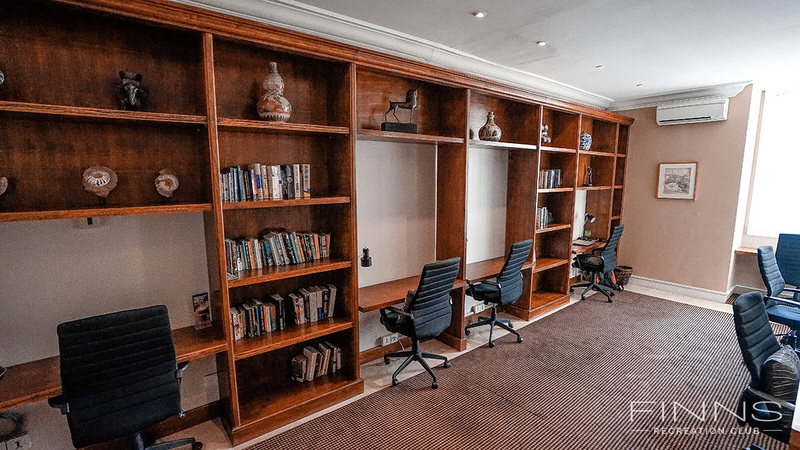 The business centre is perfect if you need to skype and want a quiet area. And they have table service is all areas and make awesome coffee!! I have met a heap of great people here and enjoy staying on after the laptop is closed down for dinner and a few wines. 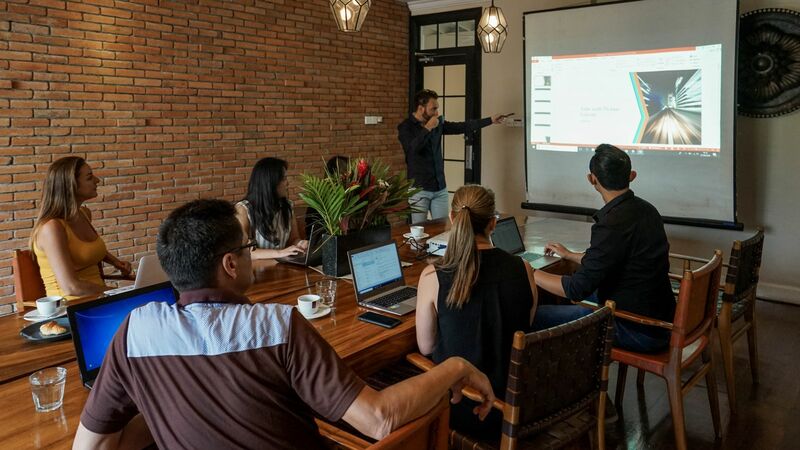 "The best space for co-workers & digital nomads"
I recently lived in Bali for a month and tried working at multiple co-working spaces around the Canggu area. In my opinion Finns provided the perfect balance, combining a quiet but connected space with the best internet connection in Bali. This allowed me to get work done and also connect and share ideas with other digital nomads. Along with the perks of being completely new & modern, the membership also came with access to a gym, sauna and the beach club. This gave me everything I needed in the one spot. It saved me money on a gym membership and travel expenses and whilst letting me focus on my work and enjoying what Bali has to offer. 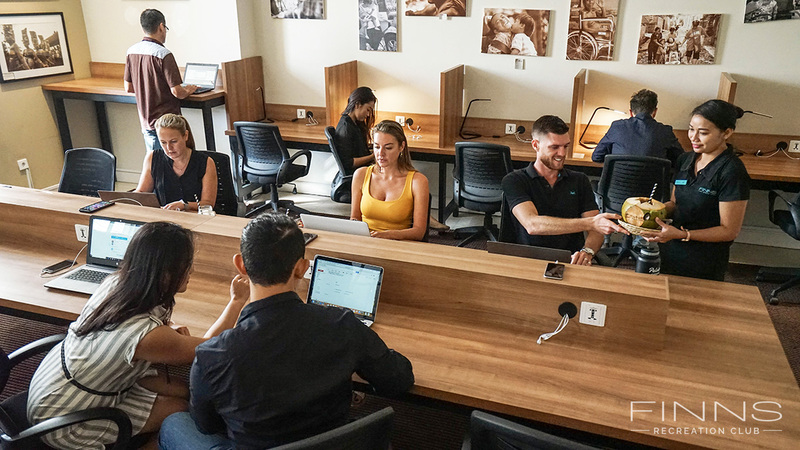 If you're co-working in Bali and looking for the best spot to work, I highly recommend you check out Finns! "Digital Nomad lifestyle at it's finest "
Highly recommended - I've spent the last 6 months here and have really built a lifestyle around the facilities Finns Rec Club has to offer. If you need a break from work there's gym, pool, tennis and social sport right at your door and inclusive in the membership. Check out their website for all the other benefits including Finns Beach Club and the waterpark. (There is a lot ) I rate this higher than all the other co-working spaces in Bali. 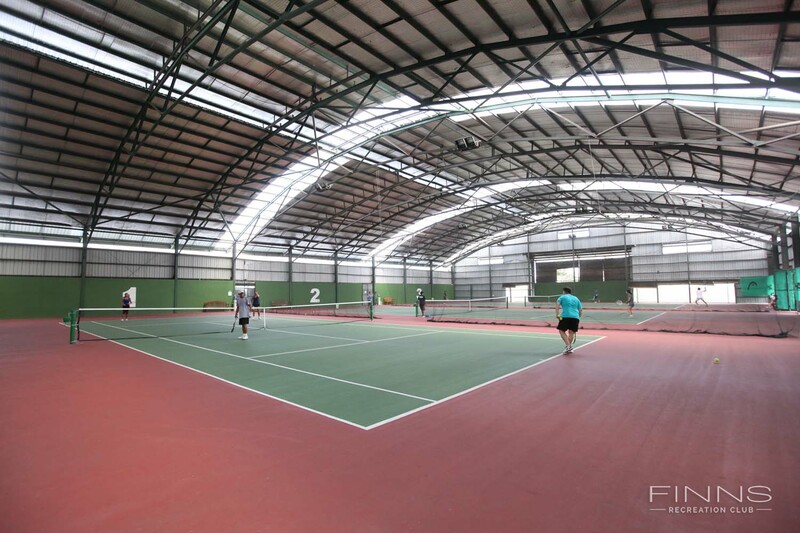 In terms of value, service and quality of the facility. It's up there with the best in South East Asia. "Super convenient place to work, exercise and relax by the pool. " 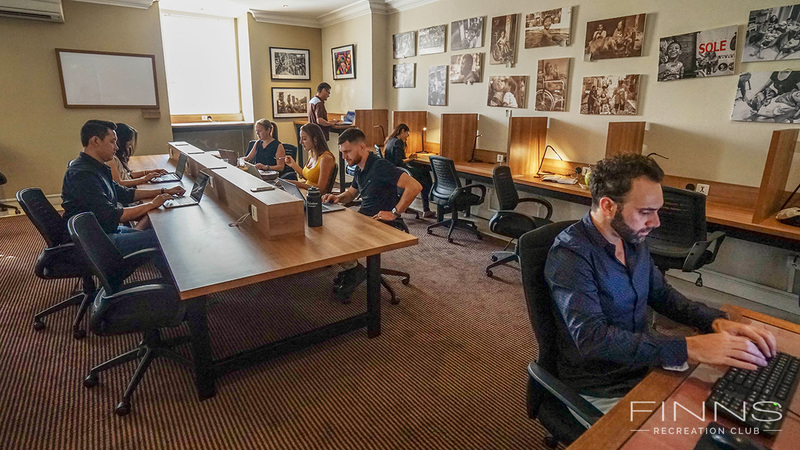 "Great place to work remotely"
I have been working out of Finns for the past year an a half and cant recommend it highly enough as a great place to work with everything you need . 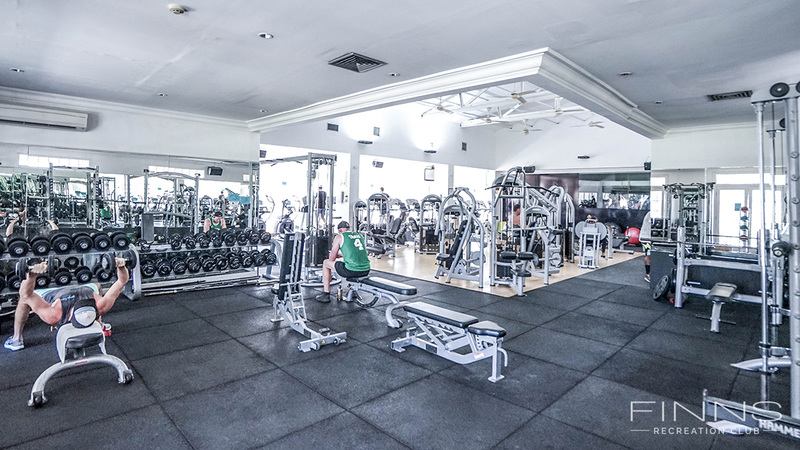 Cafe, restaurant, sports bar, pool, gym and so on there for when you need a break or are meeting clients. Staff are friendly and prices reasonable for food and drinks. It can get a little busy after school out on the sports field but you are free from the noise in the co-working spaces. There is ample parking onsite for cars and bikes with good security given the high number of expats. "COMFORT PLUS AWESOME FOOD AND FAST INTERNET! " 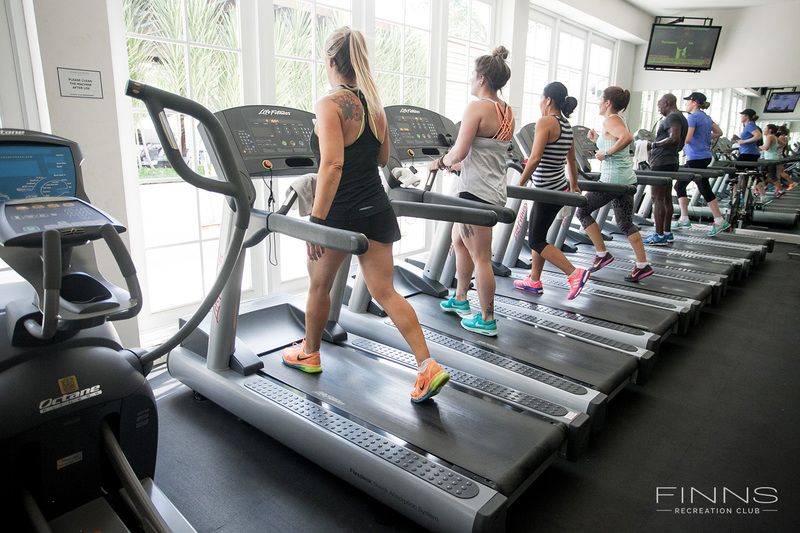 "Amazing facilities and everything you need!" I work from the Finns Co-working Hub every day and the membership literally gives me everything I need. A great community of people, swimming pool and an awesome gym. Occasionally play tennis when I have time which is also included. The business centre is comfortable and clean, phone chargers are provided (the little things...) and the internet is SUPER fast. 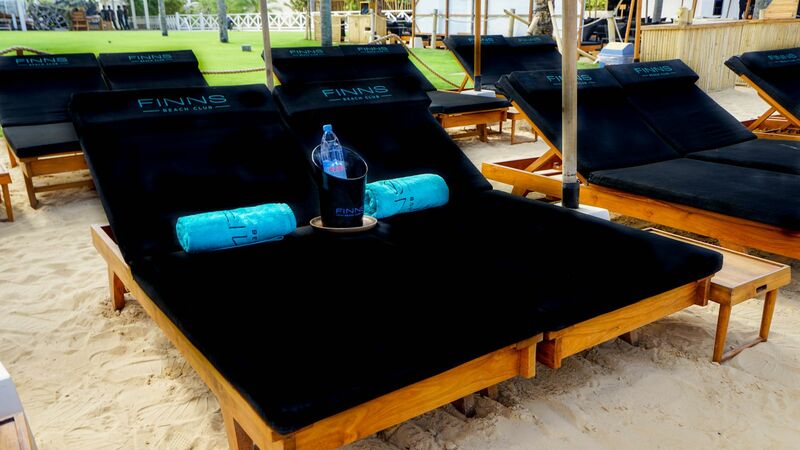 Another great perk of the membership is being able to go to Finns Beach Club and get daybeds for free as part of the membership. If you are moving to Bali short term or long term, I can't recommend joining Finns enough! They have happy hour for coffee and the coffee ain't bad! The gym is the best in town. Hands down! Finns Bali will be in touch with you soon to confirm. Finns Bali has received your membership enquiry and will be in touch with you soon.